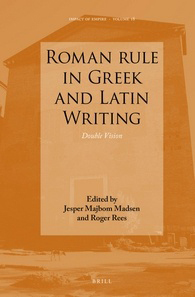 This book shows the continuing scholarly interest in Roman Greece. It is a welcome addition to the growing number of collected volumes on this topic. It studies a number of areas that have not been the subject of much scholarly attention. The papers included have their origin in a conference organized in April 2009 by the University of Southern Denmark and the University of St. Andrews, and most contributors are (or were) affiliated with either of these universities. Seven of the eleven contributions treat Greek texts, four Latin texts. The "usual suspects" (such as Dio Chrysostom, Plutarch, and Philostratus on the Greek side; Gellius, Pliny the Younger, and Tacitus on the Latin side) occur in many contributions, but what makes the volume stand out is its inclusion of texts that have not been studied as often. This review will concentrate on papers treating these neglected aspects. In a lengthy and well documented contribution with the facetious title "Becoming Wolf, Staying Sheep" (39-78) , Ewen Bowie looks at the military careers of men of eastern origin during the first two centuries CE. 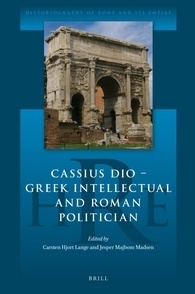 His conclusion is clear: "military engagement played a remarkably little part in the 'Roman' careers of Greeks" (64). This paper will certainly become a standard reference for the question treated here. John L. Moles, in "Accomodation, Opposition, or Other? Luke-Acts' Stance towards Rome" (79-104), picks up earlier work he had done on the connection between early Christian texts and elite culture in the first century CE; his paper is sometimes moving too fast for this reviewer, and his assumption that Luke had an almost encyclopedic knowledge of Greek and Latin literature (and expected the same familiarity from his audience) failed to convince me; nevertheless, this is an important paper on a fascinating subject. 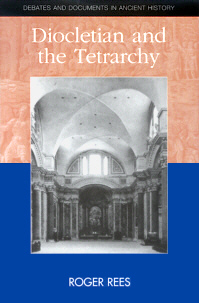 Jill Harries's "Triple Vision: Ulpian of Tyre on the Duties of the Proconsul" takes a close look at the way in which Ulpian navigates a cultural space that is marked by multiple divides (Latin versus Greek, elite versus wider public, center versus province, insider versus laymen). The use of juridic texts to explore these questions is stimulating and produces convincing results; I hope the author will continue to work in this area. Finally, I want to mention Joseph A. Howley's "Heus tu, rhetorisce" (163-192) on the experience of Roman study abroad in Gellius as compared to Cicero and Plutarch. Howley is careful to avoid a false sense of familiarity (see especially 190-191), yet the analogy with modern experiences is sometimes hilariously close. My only complaint would be that his comparison between poor Marcus (Cicero's son) and Gellius is more than a bit unfair: while Gellius gives a carefully streamlined account of his "Attic Nights" that is meant for public consumption, Marcus Cicero is mostly perceived through the eyes of his distrustful father and his associates, in documents of a less public nature. Moreover, Howley is too ready to ascribe to diachronic development what may, in fact, be more a consequence of personal choices and social differences. There are relatively few misprints, though it is depressing to see that even the hefty price of 125 € does not buy proper copy-editing. Typographical errors (wrong accents and letters) in Greek quotations are more frequent than they should be; to give an example: a pentameter line quoted by Ewen Bowie (53) does not scan; it should read Μακηδονίη instead of Μακεδονίη (and the inscription's ΔΕΙΤΑΛΙΗ should probably be transcribed as δ' Εἰταλίη), and μελέτη is repeatedly accented as an oxytone. Parts of Latin and Greek passages quoted are not included in the translations (25, 181), or the quoted text does not match the translation (21, 198). Some of these blemishes point to an underlying weakness: as a whole, the volume lacks coherence; editorial control should have been tighter. Again, a good copy editor might have helped: there is a consolidated bibliography, but the index is of names only and somewhat thin. Latin quotations use "v" spelling in some contributions, "u" spelling in others; they are italicized in some contributions, but not in others. Some papers make use of a number of abbreviations that would not be accessible to lay readers (especially Bowie's article, which quotes numerous inscriptions); no explanation is provided in the volume. Many papers quote ancient texts without telling readers which edition and / or translation they use. But these might be considered mere technicalities; what is more important: there are hardly any cross-references, even when individual contributions discuss the same texts or the same problems. And, most importantly: there is no common ground in the way contributors view the state of the art. While some of them are aware of the difficulties that terms such as "Greek culture", "Roman rule", or "ethnicity" pose (especially good in this area are the contributions by Bowie and König, who are indeed old hands in this particular field), others give the impression that they have not been following the scholarly discussion of the last twenty years closely enough (as examples, I point to the loose and anachronistic use of the term "racial" in the paper by Roger Rees or the simplistic way in which Jesper Majbom Madsen tries to pigeonhole intellectuals and writers as pro-Roman or anti-Roman). To sum up: this is an important and valuable contribution to the field of imperial Greek (and, to a lesser extent, Roman) culture. Its engagement with texts and authors such as Luke, Ulpian, and Josephus makes it especially welcome. Nevertheless, there is a nagging feeling that with a bit more effort, this could have been a much stronger book. The title is a nice allusion to Greg Woolf's now classical paper "Becoming Roman, Staying Greek", Proceedings of the Cambridge Philological Society 40 (1994), 116-143.